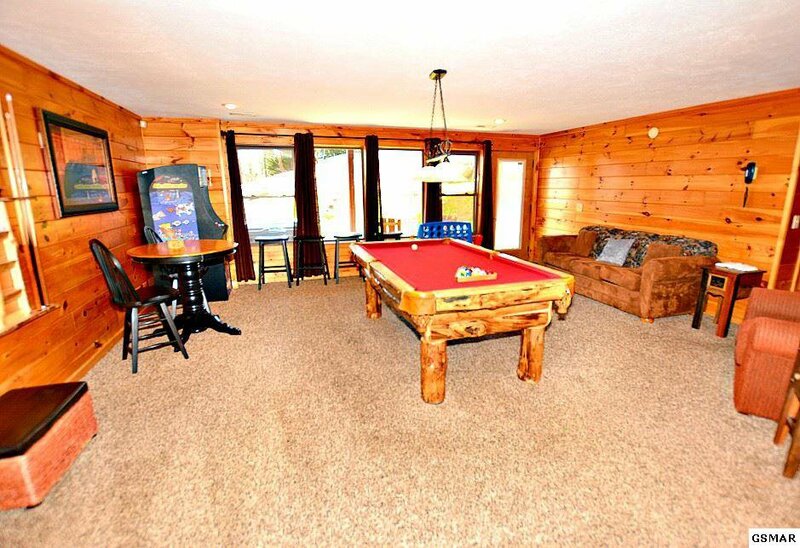 WELL BUILT-SPACIOUS 2454 SQ. 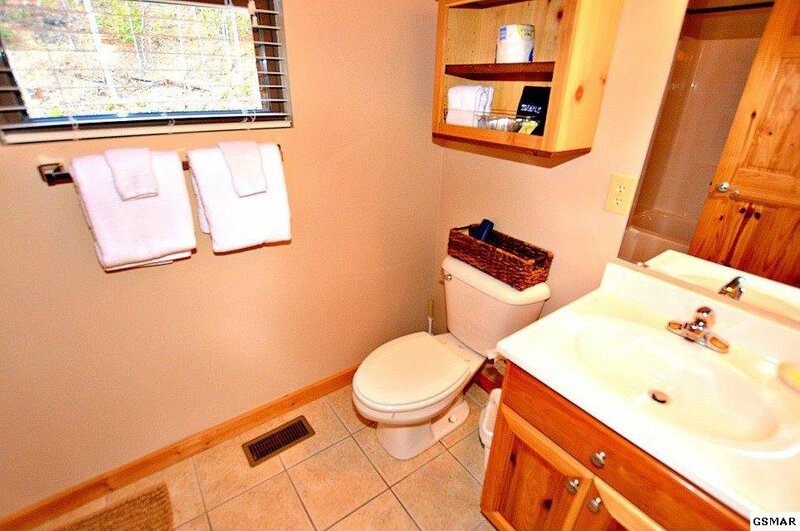 FEET-AMAZING MOUNTAIN VIEWS-WATER/SEWER!!! 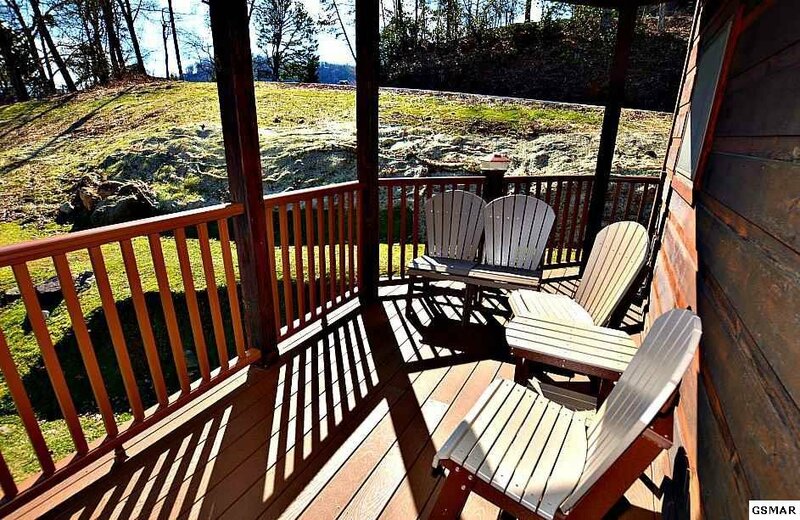 Ideal as a vacation home or great investment! 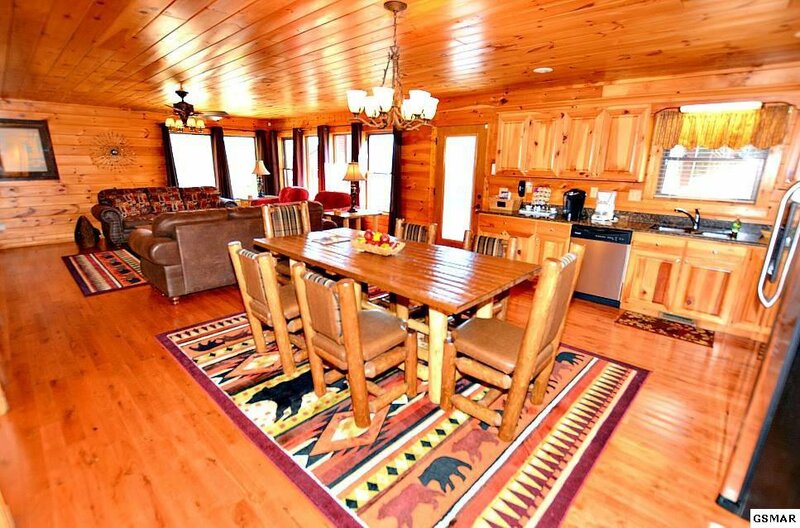 Beautiful upscale furnishings show off this grand cabin! 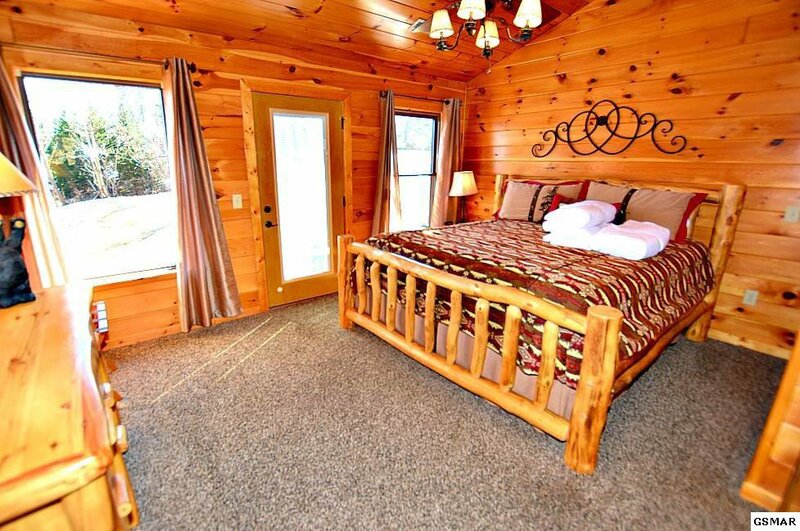 Located in Chalet Village area. 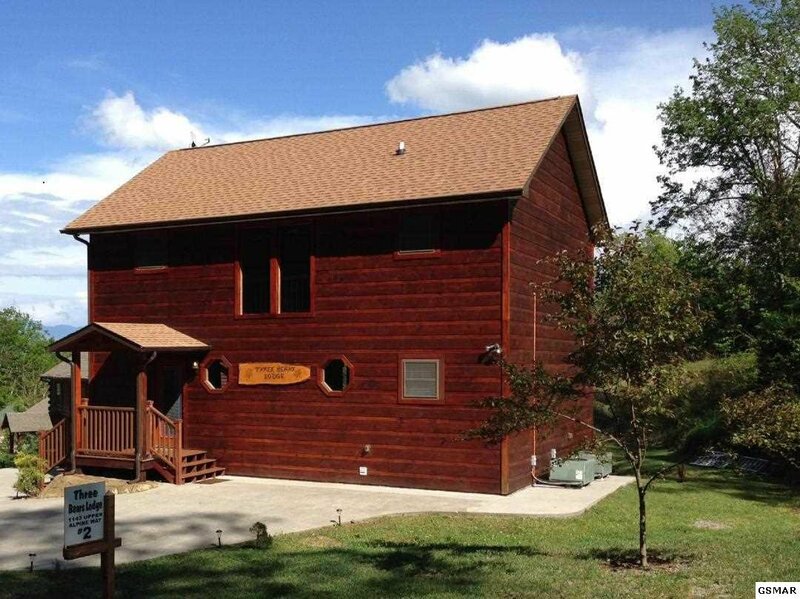 Currently being rented by owner but has tremendous rental potential in a great location. 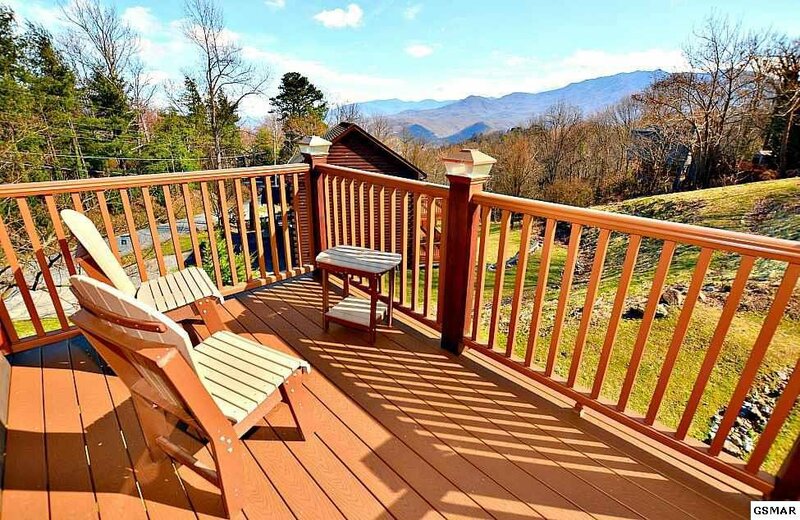 Amazing views from three spacious levels, complete with trex type decking. 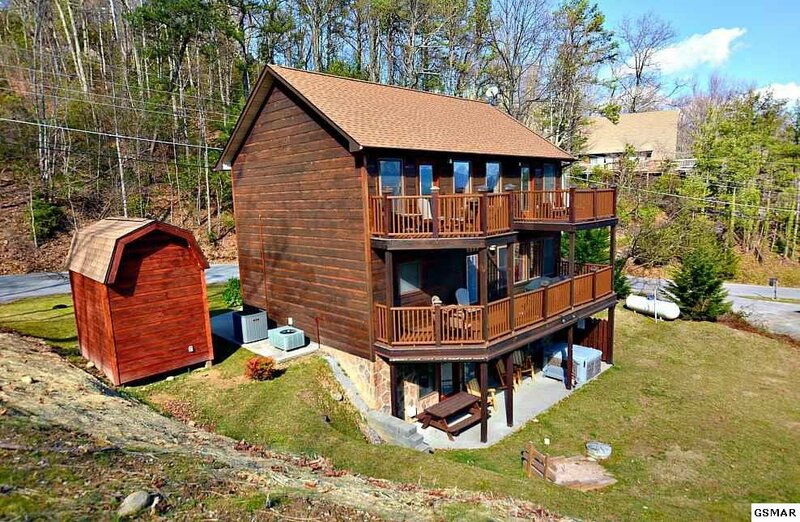 Also has an outdoor storage building along with ample rear yard space. 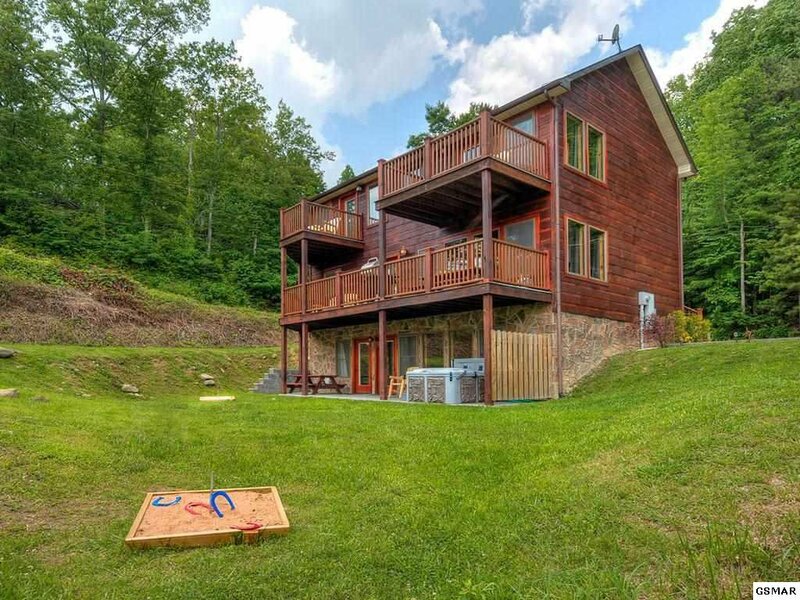 The parking is almost level with no steep driveway. 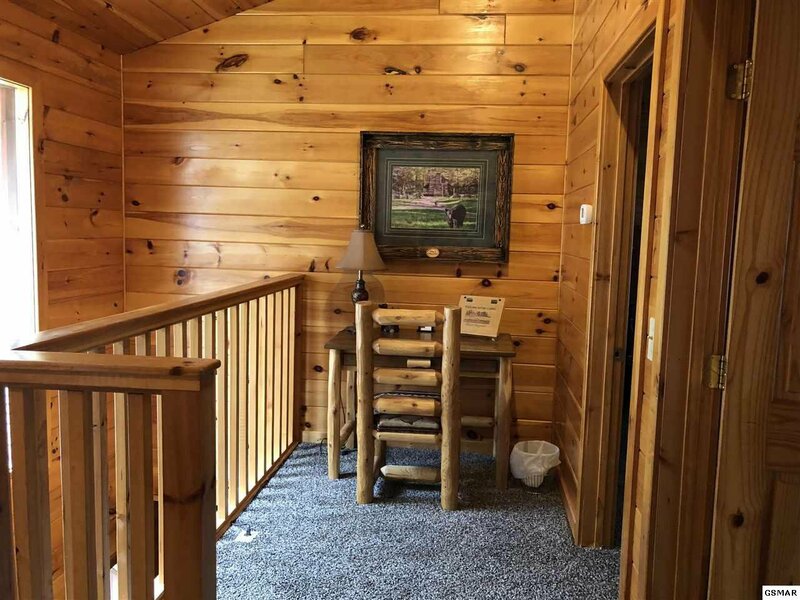 Inside this spacious cabin, you have lots of upgrades with a large great room on the main level, an upgraded full kitchen that includes granite countertops, a spacious dining area and open to the living area with gas fireplace. 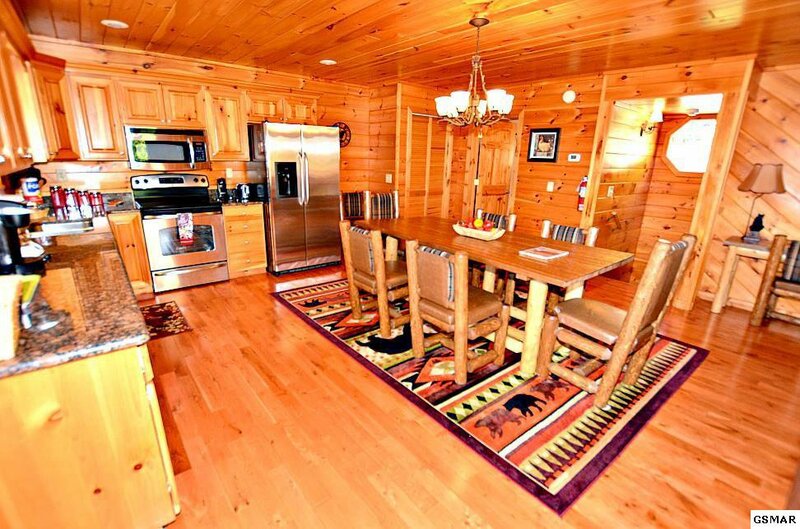 Beautiful wood floors warm this level! 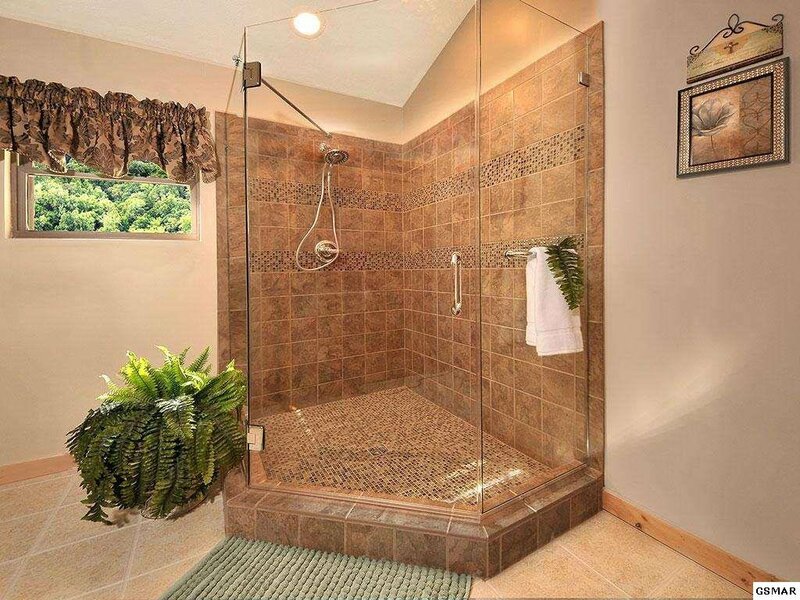 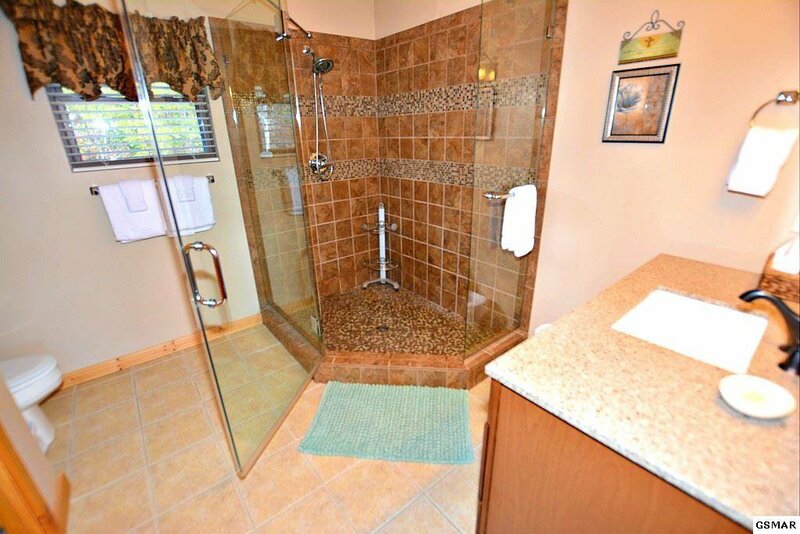 Also a full bath on the main level. 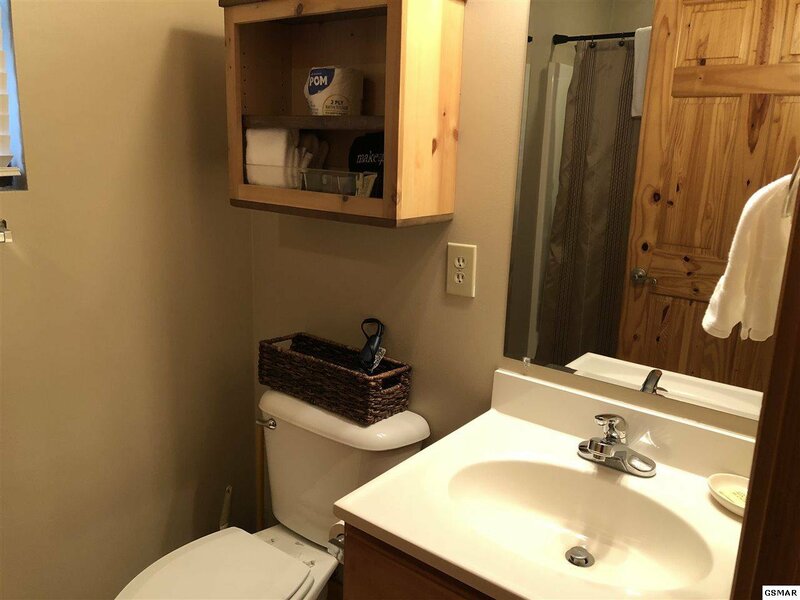 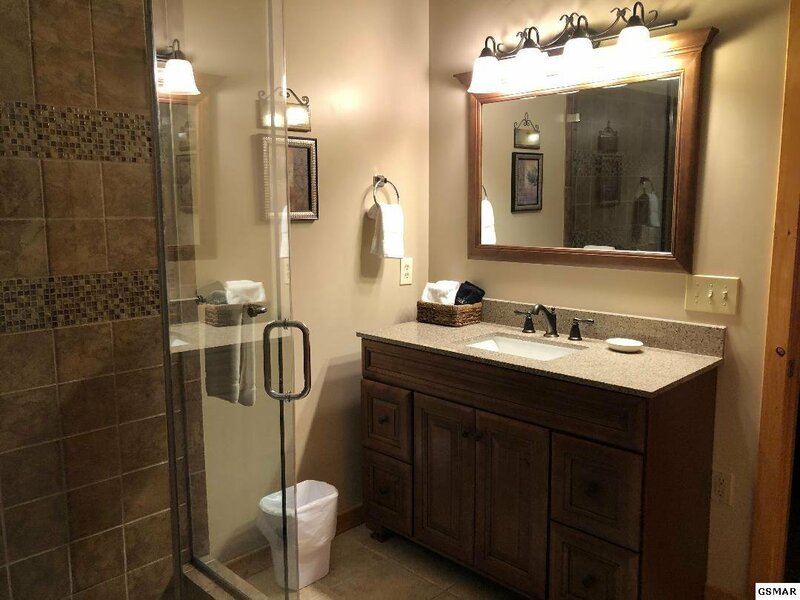 On the 2nd level, you have two spacious bedrooms, an open loft area, and 2 baths, with the master bath having a beautiful tile walk-in shower, adding to the luxury of this cabin. 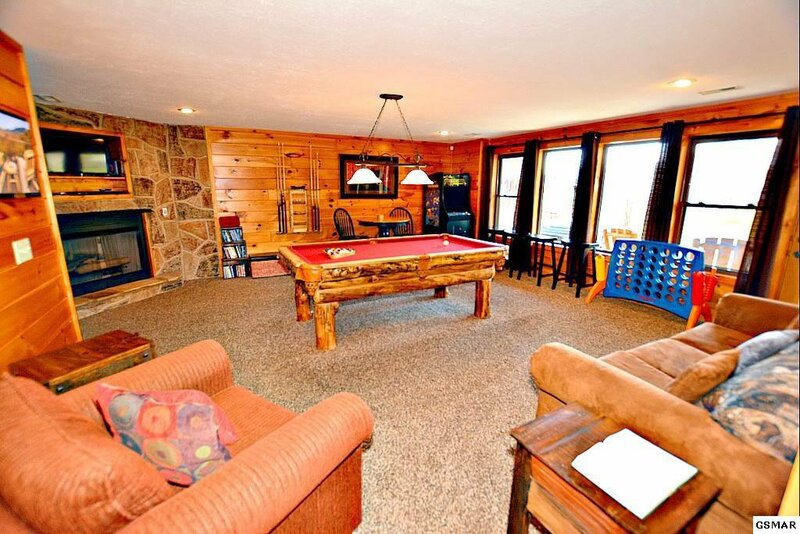 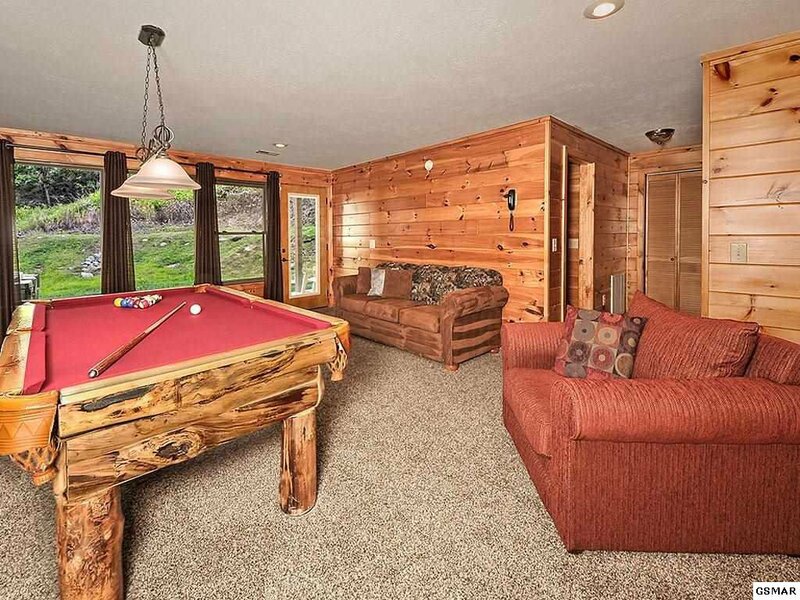 On the lower level, you have a very large game room/family room area with a 2nd fireplace and a 3rd bedroom and an adjacent 3rd bath & an easy outdoor access. 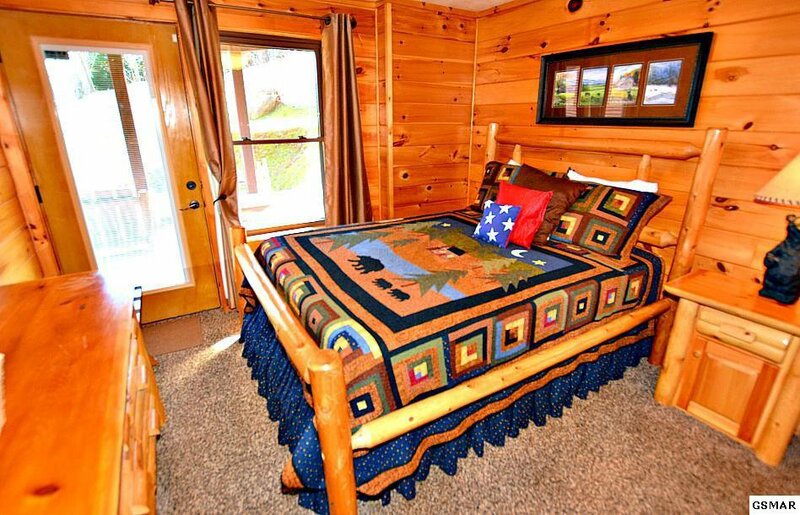 Lots of space with this cabin, complete with a real mountain feel. 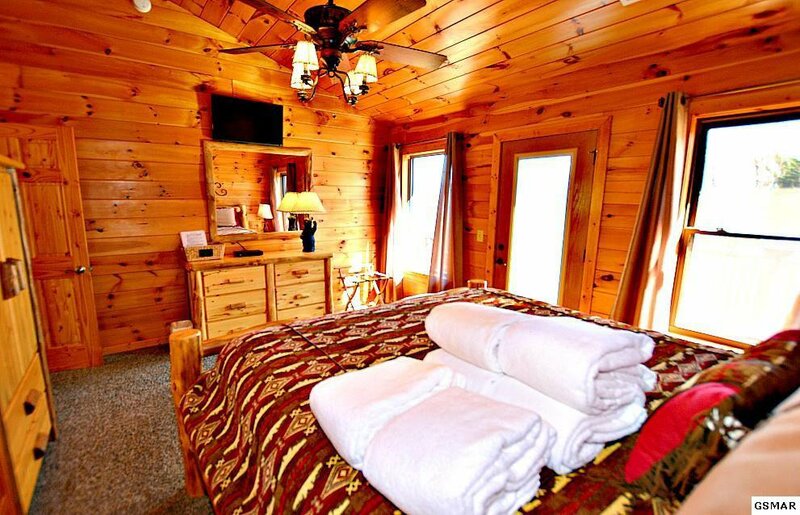 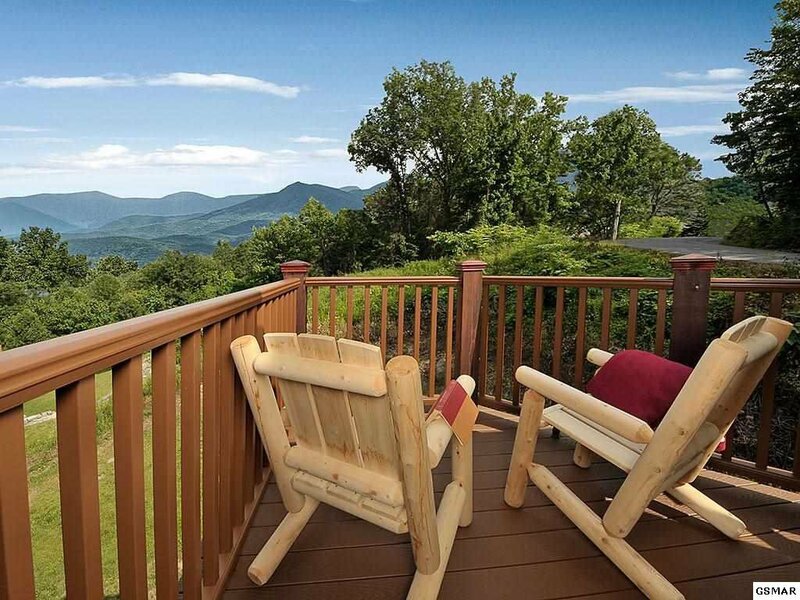 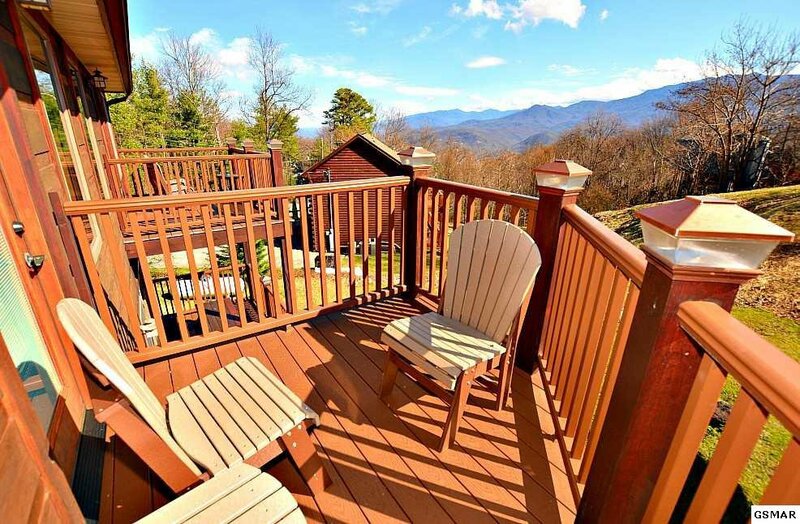 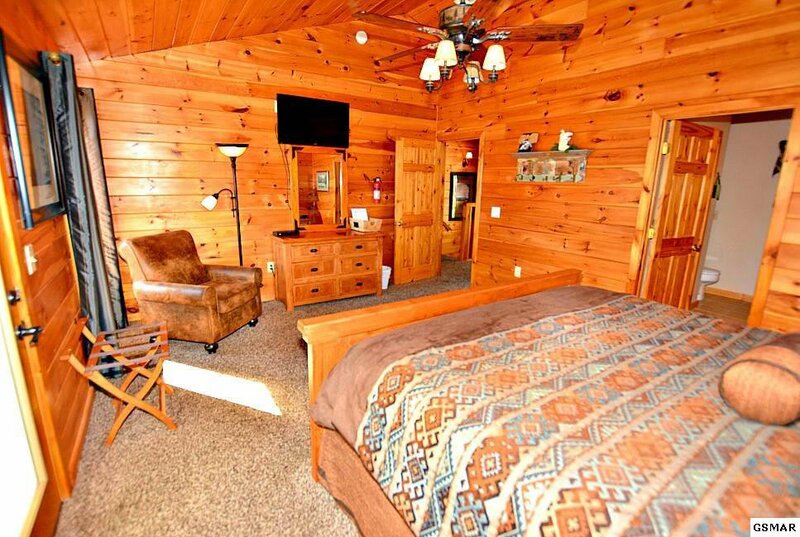 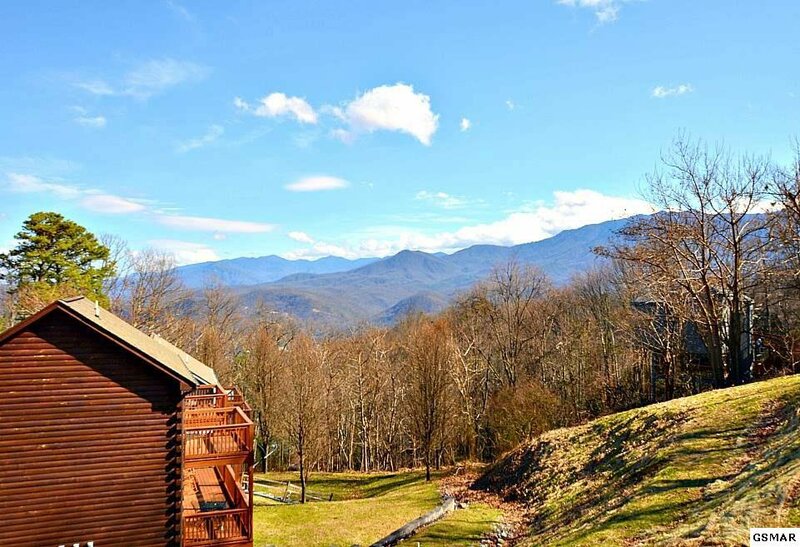 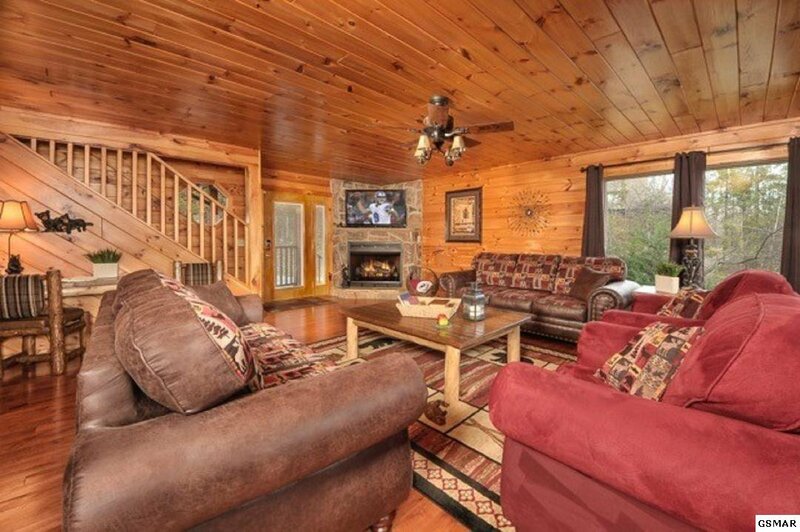 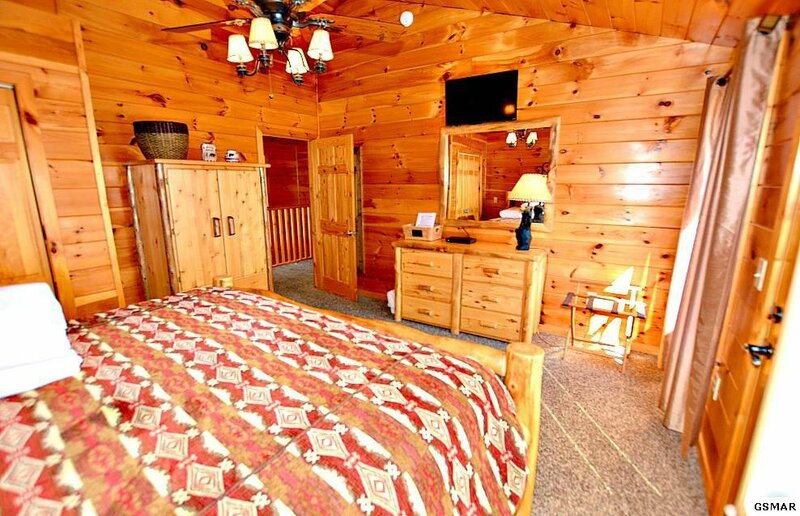 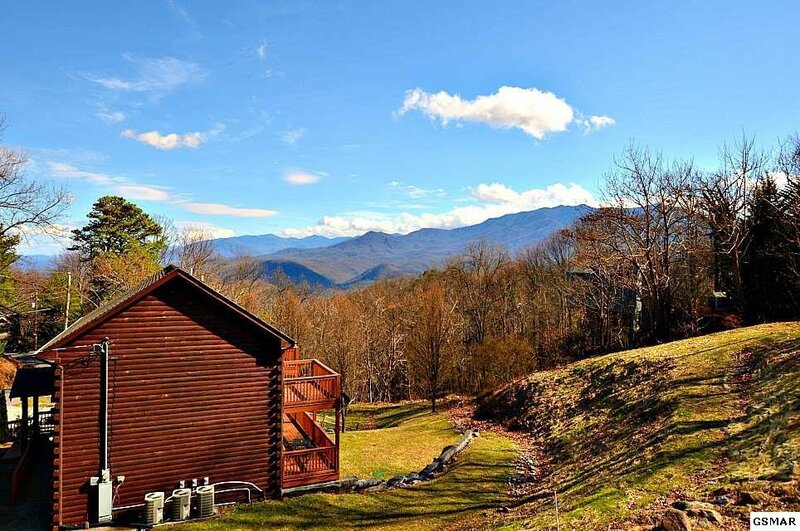 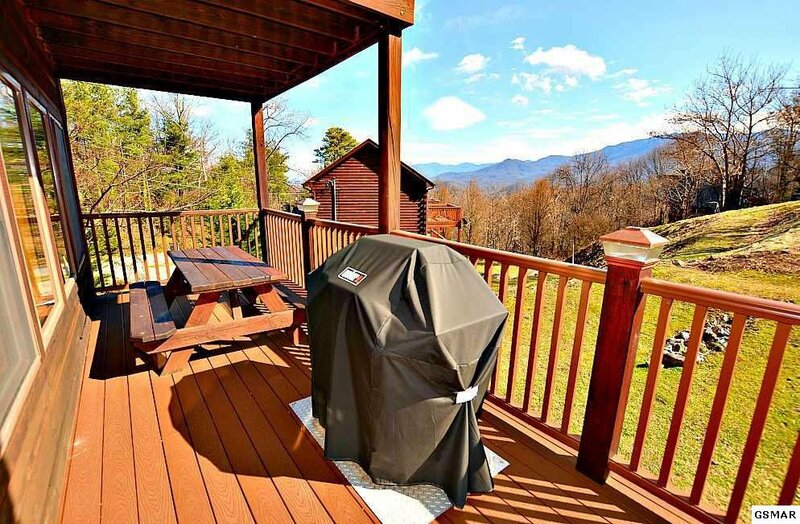 Only minutes to downtown Gatlinburg, the beautiful National Park and Ober Gatlinburg Ski Resort and all with this amazing cabin. 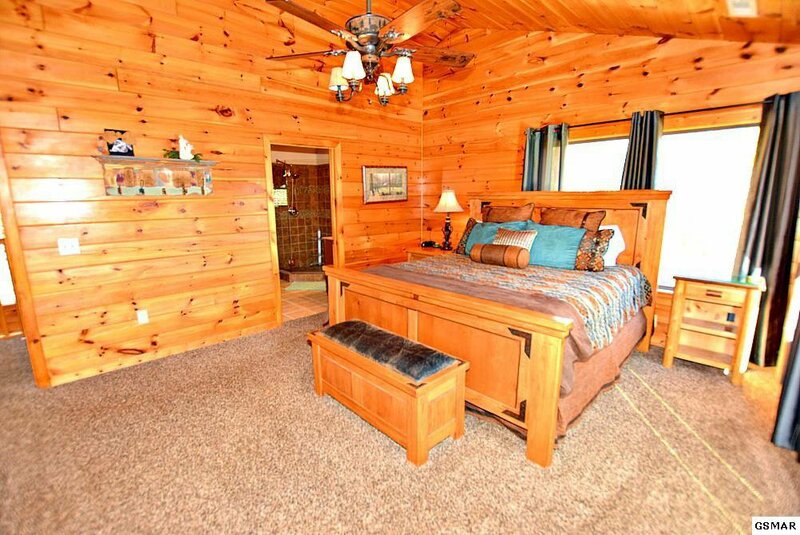 There are plenty of room for all your guests and so close in. 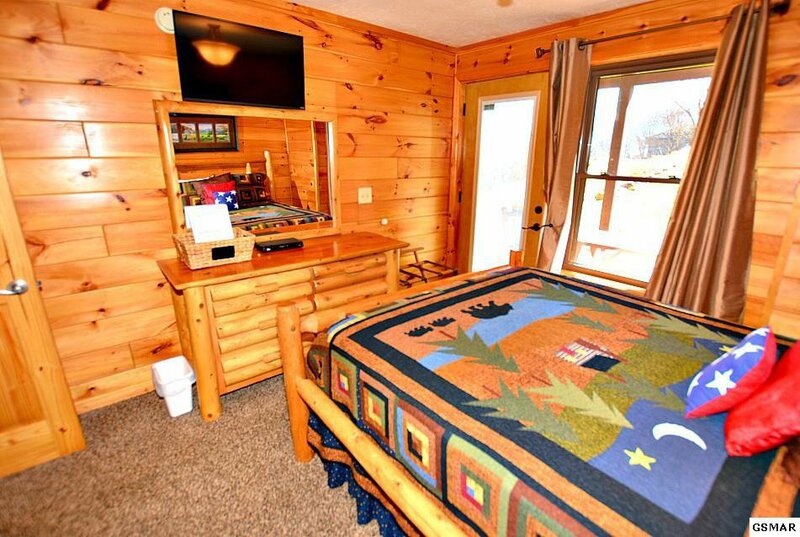 This cabin has all city services including snow removal. 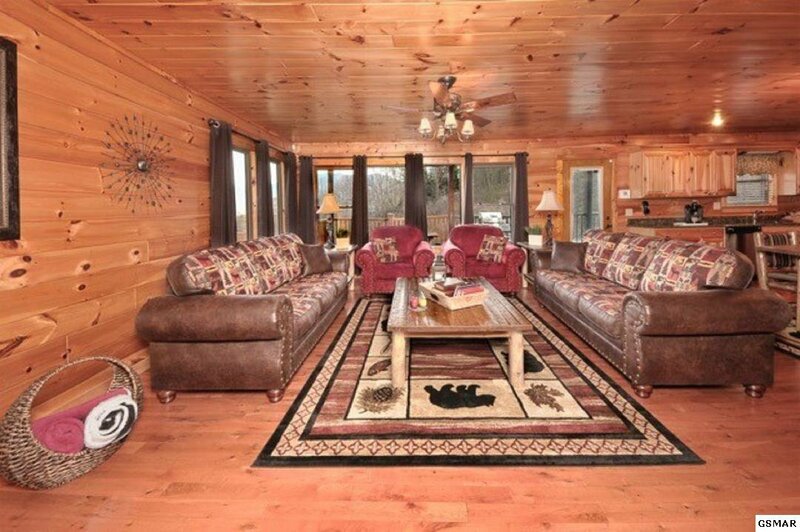 Great cabin with AMAZING VIEWS & in a great location - come see it today! 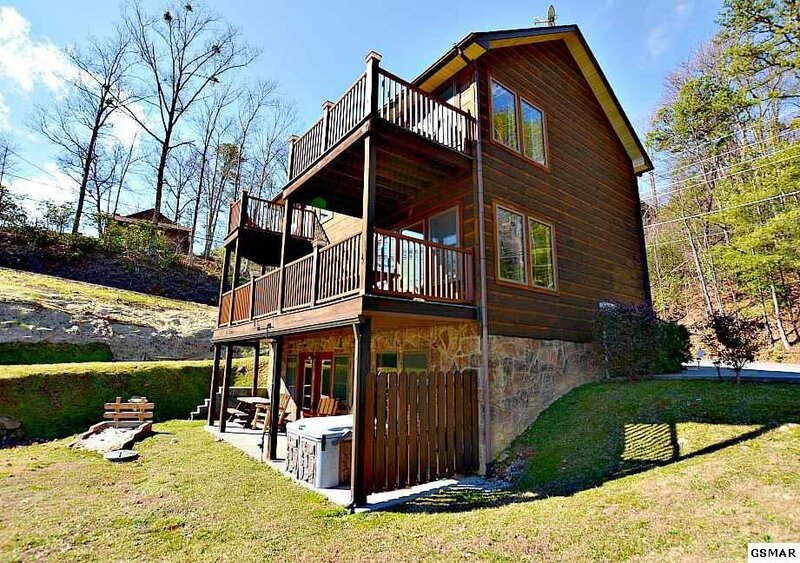 Potential Rental by Colonial Properties at $70,000 plus per year. 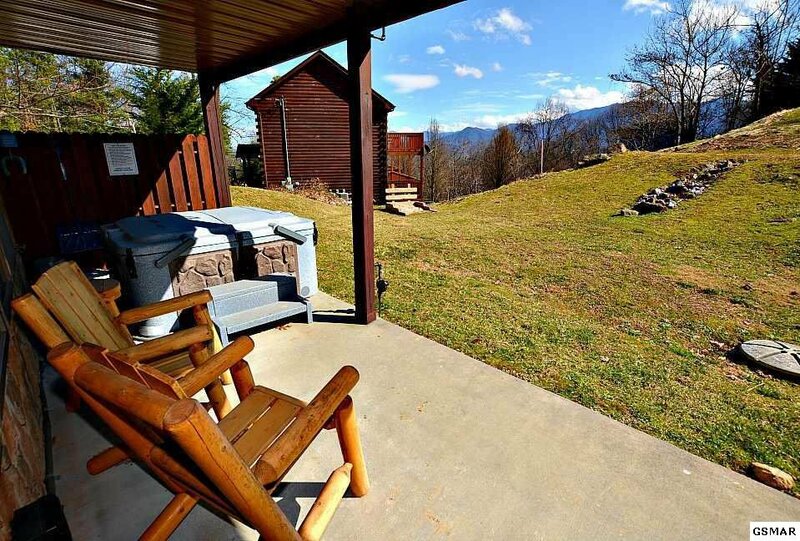 Lot beside (listed) and cabin should be sold together. 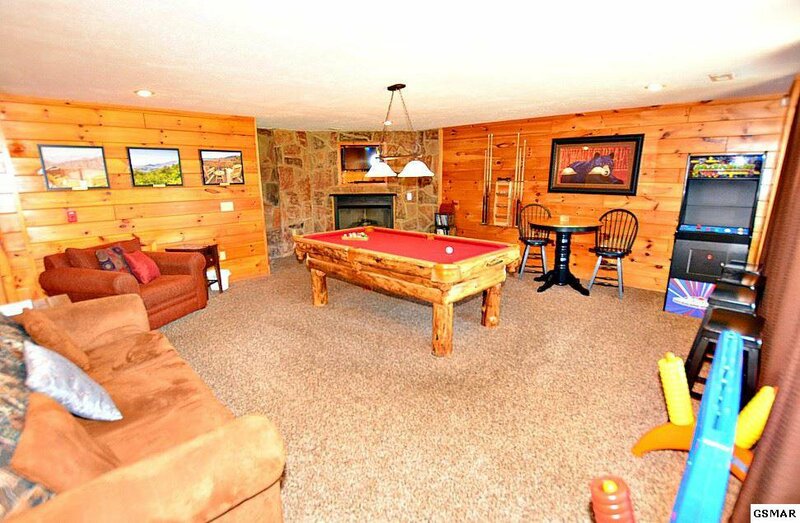 This is part of Chalet Village HOA with pool etc.